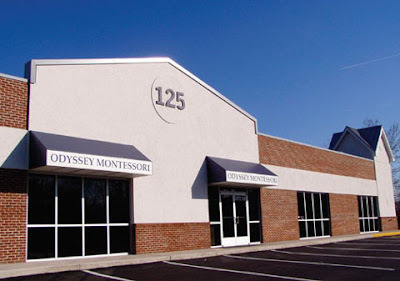 Odyssey Montessori School's 2nd annual Gala and Auction on March 30 will dedicate a portion of its proceeds toward Amman Imman's project to bring water to the Azawak in Niger. The theme for this year's Gala, held at the Fredericksburg Country Club in Fredericksburg, Virginia, is Go With The Flow. If you live in the Fredericksburg, Virginia area (about 1 hour from Washington DC), you are invited to participate in this event that will highlight Amman Imman! An Amman Imman information table will display video footage from Ariane's 2005 visit to the the Azawak. To kick-off the live auction portion of the evening, a slide show of Ariane’s photos will be presented. Michael Kirtley, president of the Friendship Caravan, will introduce Richard Cizik, an Odyssey parent and evangelical environmentalist, who speak about Amman Imman to the Odyssey community and their guests. Several beautiful silent and live auction items, including handmade jewelry from Niger and other items from the Azawak region, will be available for bidding. Please encourage friends and family who live in the area to attend this event in support of Amman Imman! Tickets are just $40 person, and $75 per couple. This would be a great way for local people to find out about and support Amman Imman's mission, with an opportunity to talk to Michael Kirtley and Richard Cizik.